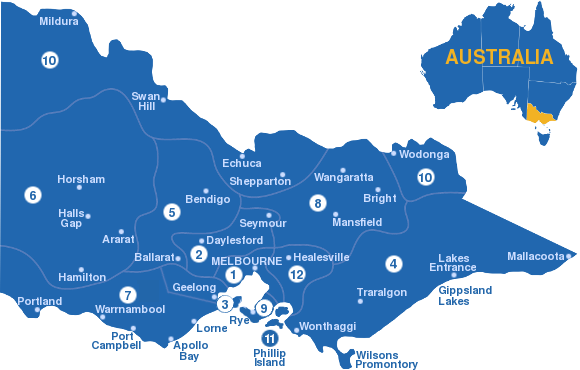 The state of Victoria is divided into 12 tourism regions which group together areas of similar geography, environment, history or culture. How are region boundaries defined? In general, tourism regions consist of several local government areas (also known as local councils or municipalities), with region boundaries following the lines of municipal boundaries. There are a small number of exceptions to this rule. Phillip Island region. This covers only part of the Bass Coast Shire. It includes only Phillip Island and the mainland town of San Remo which is directly linked to the island by a bridge. Gippsland region. This excludes the part of the Bass Coast Shire that is included in the Phillip Island tourism region. Yarra Valley & Dandenong Ranges region. This includes the far southern part of the Murrindindi Shire which is closest to Melbourne, covering the areas around King Lake, Narbethong, Marysville and Buxton. High Country region. This excludes the southernmost part of the Murrindindi Shire which is part of the Yarra Valley & Dandenong Ranges region. While tourism regions are generally defined along local government boundaries, this has created some anomalies when it comes to grouping locations of similar history or culture together. Consider the town of Clunes. It was the site of Victoria’s first registered gold strike which triggered the famous gold rush of the 1850s and 1860s, resulting in great prosperity and attracting world-wide attention. Clunes is located in the far western corner of the Hepburn Shire, thus putting it into the Daylesford & Macedon Ranges tourism region. Surrounding Clunes on three sides is the Central Goldfields Shire, Mount Alexander Shire and City of Ballarat – all of which are in the Goldfields region. It seems odd that the birthplace of gold in Victoria is excluded, by the smallest of margins, from being part of the Goldfields region which encompasses important surrounding towns and cities of the gold rush days like Ballarat, Castlemaine, Maldon, Maryborough and Bendigo. 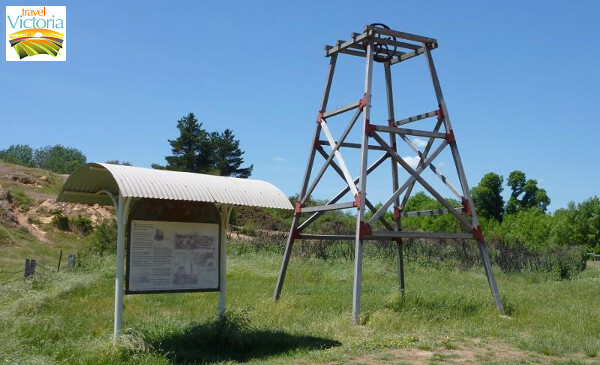 Clunes – the birthplace of Victoria’s gold rush, yet not in the Goldfields region. Another anomaly is with the north-eastern Victorian town of Rutherglen, famous for being in the heart of one of Victoria’s most important wine producing areas. It lies less than 10 kilometres from the Murray River, but because it is in the Shire of Indigo, it ends up in the High Country region. This has the effect of creating an unusual situation where the Murray region is split into two distinct parts – a large section from the state border west of Mildura to Yarrawonga and then a smaller area around the north-eastern corner of Victoria that includes Wodonga and Corryong. 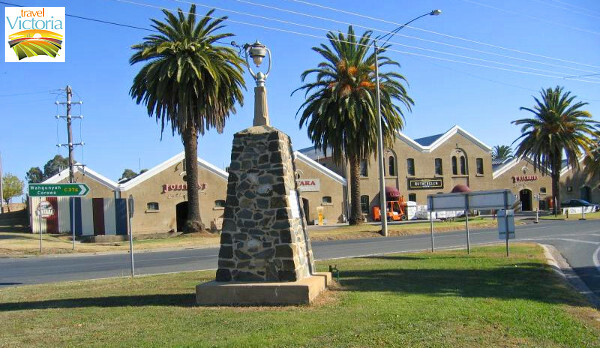 Rutherglen – just a stone’s throw from the Murray River but not in the Murray region. Thoughts from us at Travel Victoria. A range of content for either travellers or visitors to Victoria and Melbourne, and for those working in the tourism industry. Beechworth – the place to be this Easter!